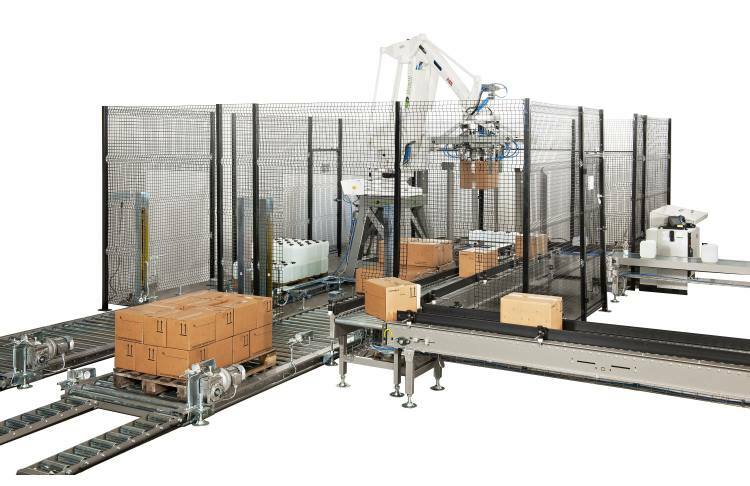 The multisector DUETTI past, present and future experience in developing customized robot systems for palletizing and case packing, ensures the already solid know how base continuously expands. Why use an anthropomorphic robot? 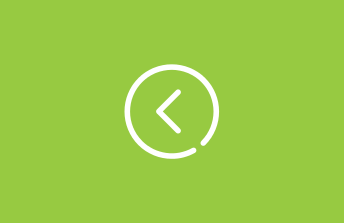 DUETTI is able to develop a project studying the best solutions in terms of flexibility, productivity and space. The pick-up heads are the result of years of experience and can be custom designed or modified depending on the product to be handled. A innovative design combined with the wide possibility for auto-programming make these systems an important investment for the integration of future production lines. 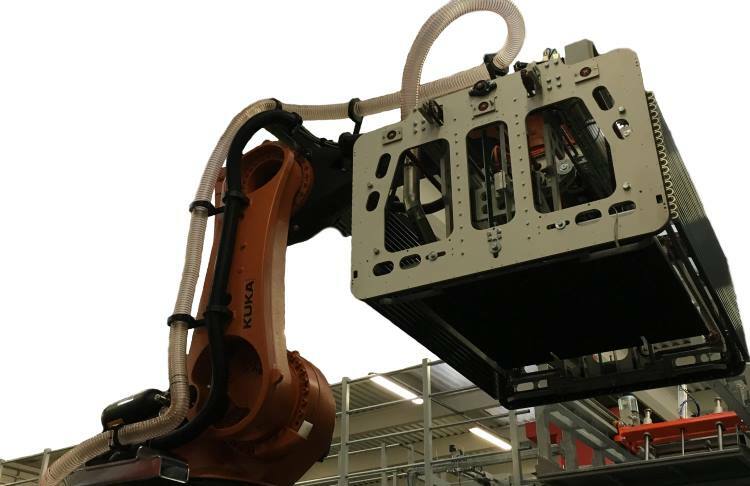 Palletizing and handling solutions that are highly personalized and flexible which make the most of the available space derived from the use of 4 or 6 axis anthropomorphic robots.